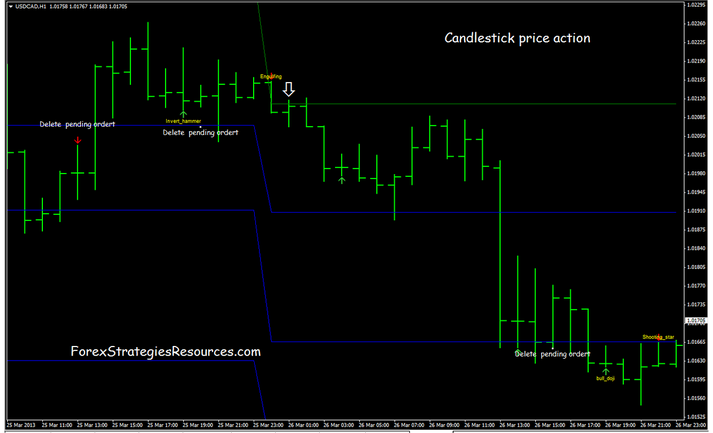 The Rules of this trading system based on the Candlestick patterns is very simple. 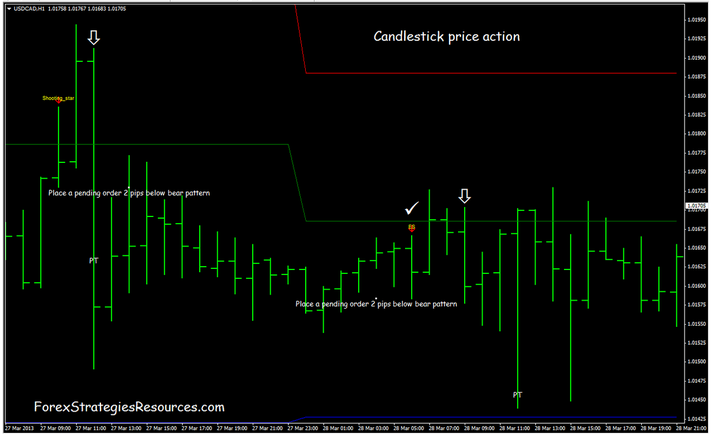 This is an pure price action trading system. you place an pending order 2 pips below the Bear Pattern. If the price do not breaks the order ,delete order after three bars. you place an pending order 2 pips above the Bullish Pattern. If the price do not breaks the order ,delete order after three bars. Profit Target at the next level pivot or 15 -20 pips. 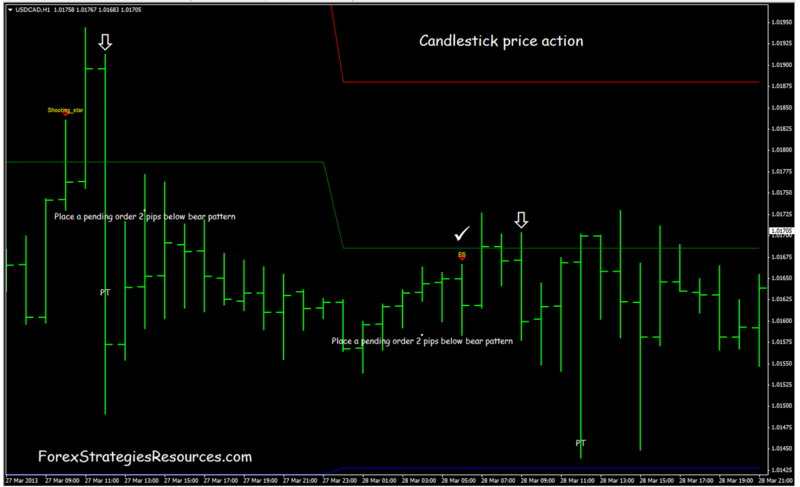 In the pictures Candlestick Price Action forex system in action.